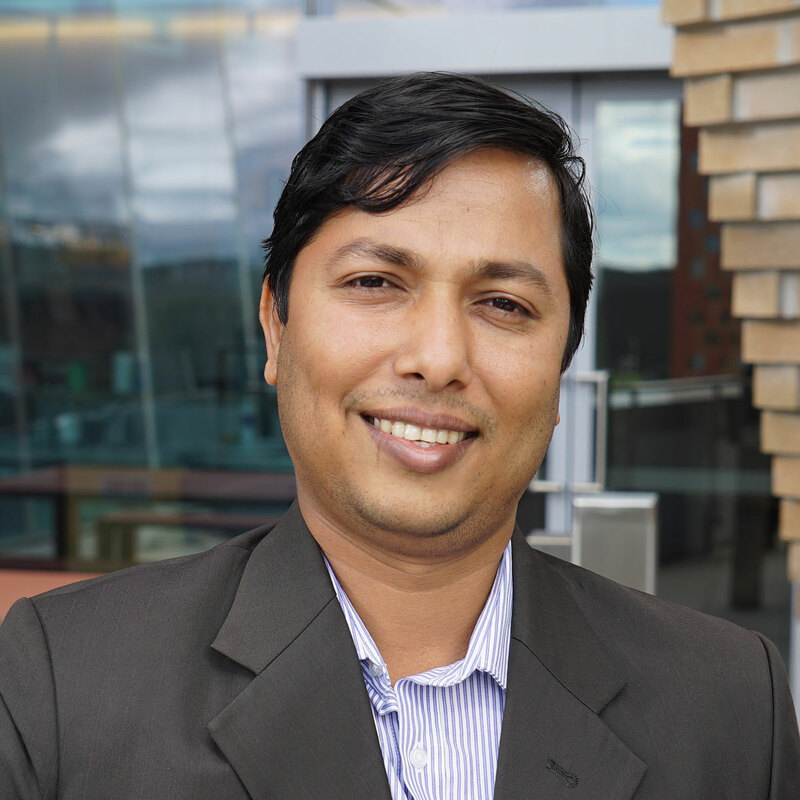 Sanjoy Paul has obtained his PhD from the University of New South Wales. Prior joining to UTS as a lecturer, he also served RMIT University, Australia and BUET, Bangladesh as an academic staff. He has published many articles in top-tier journals including European Journal of Operational Research, International Journal of Production Economics, Computers and Operations Research, International Journal of Production Research, Annals of Operations Research, Journal of Management in Engineering, Journal of Cleaner Production, Computers and Industrial Engineering, Journal of Intelligent Manufacturing and so on. He is also an active reviewer of many reputed journals. His research interest includes supply chain disturbance management, modelling, applied operations research, and intelligent decision making. Dr Paul has received several awards in his career, including ASOR Rising Star Award, Excellence in Early Career Research Award from UTS Business School, the Stephen Fester prize for most outstanding thesis from UNSW, high impact publications award for publishing articles in top-tier journals, and several university scholarships for outstanding results in undergraduate and postgraduate level. Dr Paul is a member of the Australian Society for Operations Research (ASOR) and Australasian Supply Chain Institute (ASCI). He is also a committee member for the industry risk committee of ASCI. This research examines the moderating effect of market uncertainty on the causal effects from supply chain integration to operational performance of a typical supply chain. Based on an extensive and critical literature review, two exploratory conceptual hypotheses have been developed for the nonlinear relationship between the supply chain integration and operational performance of the original equipment manufacturer, and how may that relationship be moderated by a specific construct of market uncertainty. Empirical survey instrument has been designed and applied to gather the data from a wide spectrum of automotive industry in China. Confirmative factor analysis and threshold regression analysis were used as the primary research methodology to test the hypotheses. We find strong support to the hypotheses from the empirical evidence, which leads to the finding that the relationship between the supply chain integration and operational performance is 'nonlinear', and the 'nonlinearity' can be significantly moderated by the market uncertainty as one of the key environmental factors for the supply chain. This study extends the current literature by contributing for the first time the discussion of an analytical model that represents the causal effects from supply chain integration to its operational performance with respect to the market uncertainty as a moderating factor. In this paper, a recovery model is developed for managing sudden supply delays that affect retailers' economic order quantity model. For this, a mathematical model is developed that considers fuzzy demand and safety stock, and generates a recovery plan for a finite future period immediately after a sudden supply delay. An efficient heuristic solution is developed that generates the recovery plan after a sudden supply delay. An experiment with scenario-based analysis is conducted to test our heuristic and to analyse the results. To assess the quality and consistency of solutions, the performance of the proposed heuristic is compared with the performance of the generalised reduced gradient method, which is widely applied in constrained mathematical programming. A simulation model is also designed to bring the recovery model closer to real-world processes. Several numerical examples are presented and a sensitivity analysis is performed to demonstrate the effects of various parameters on the performance of the heuristic method. The results show that safety stock plays an important role in recovery from sudden supply delays, and there is a trade-off between backorder and lost sales costs in the recovery plan. With the help of the proposed model, supply chain decision-makers can make accurate and prompt decision regarding recovery plans in case of sudden supply delay. Copyright © 2015 Inderscience Enterprises Ltd. A company must purchase a lot of diverse components and raw materials from different upstream suppliers to manufacture or assemble its products. However, it is not only a very complicated and perplexing task to select outstanding suppliers for decision-makers of strategic purchasing, but also it involves uncertainty and produces erroneous results while considering single criteria. For this reason, the decision-makers of strategic purchasing greatly require an efficient, valid and fair tool to assist them in selecting appropriate suppliers forthwith. This paper proposes a supplier selection model for any kind of company by using MATLAB fuzzy logic toolbox to help the purchasing department in selecting the most appropriate supplier. The main task in the proposed model involves determining the numerical score for different suppliers considering their respective performance in various qualitative and quantitative evaluation criteria and then selecting the best supplier having highest score. Fuzzy control is used to determine the best supplier by calculating the score in selected evaluation criteria which are provided in numerical values for the convenience of calculation. Copyright © 2015 Inderscience Enterprises Ltd. Determining optimum level of inventory is very important for any organisation which depends on various factors. In this research, six main factors have been considered as input parameters and the inventory level has been considered as the single output for this inventory management problem. Price of raw material, demand of raw material, holding cost, setup cost, supplier's reliability and lead time are considered as input parameters. An adaptive neuro-fuzzy inference system (ANFIS) has been applied as the artificial intelligence technique for modelling the inventory problem. ANFIS results have been compared with results from another artificial intelligence technique, artificial neural network (ANN), to validate the output results. Performance of both methods has been shown regarding different error measures. Comparison clearly shows the superiority of ANFIS results over ANN results and thus makes ANFIS a better choice for inventory level forecasting. In this paper, a production inventory model with reliability of production process is developed to minimise total inventory cost. Production, setup, holding, inspection, depreciation, rejection and backorder cost are considered to develop the model. The economic production lot size and the reliability of the production process along with the production period are the decision variables and total cost per cycle is the objective function which is to be minimised. A meta-heuristic particle swarm optimisation (PSO) algorithm is applied to solve the unconstrained non-integer non-linear form of objective function. Some numerical examples have been presented to explain the model. The results obtained from PSO algorithm are compared with results obtained from genetic algorithm (GA) applying on the same inventory model. Comparison clearly shows the superiority of PSO results over GA results thus makes PSO a better choice for this kind of modelling. Copyright © 2014 Inderscience Enterprises Ltd. This paper develops an artificial neural network (ANN) model to forecast the optimum demand as a function of time of the year, festival period, promotional programmes, holidays, number of advertisements, cost of advertisements, number of workers and availability. The model selects a feed-forward back-propagation ANN with 13 hidden neurons in one hidden layer as the optimum network. The model is validated with a furniture product data of a renowned furniture company. The model has also been compared with a statistical linear model named Brown's double smoothing model which is normally used by furniture companies. It is observed that ANN model performs much better than the linear model. Overall, the proposed model can be applied for forecasting optimum demand level of furniture products in any furniture company within a competitive business environment. Copyright © 2013 Inderscience Enterprises Ltd.
Power demand forecasting is a significant factor in the planning and economic and secure operation of modern power system. This research work has compared different forecasting techniques and opted to find out better technique in context of power generation, which varies rapidly from time to time. The dataset has been generated from yearly demand of electricity of Bangladesh for last five years. Year, irrigation season, temperature and rainfall amount have been considered as input parameters where as single output is demand of load in adaptive neuro-fuzzy inference system (ANFIS). Another artificial intelligence technique, artificial neural network (ANN) has been used to validate the output results. The best suited traditional technique for forecasting power generation is seasonal forecasting. Seasonal forecasting is also used to compare with ANFIS and ANN to find out better technique. The result of experiment indicates that ANFIS is superior method to tackle forecasting of power generation from different error measures. Copyright © 2013 Inderscience Enterprises Ltd.
Job shop scheduling problems are one of the oldest combinatorial optimisation problems being studied. In this paper, fuzzy processing times of operations and fuzzy due dates of jobs are considered to incorporate fuzziness in the problem. Percentage of inventory consumption and profit earned form the orders are also considered in this fuzzy multi-objective job shop scheduling problem. Fuzzy inference system (FIS) is used to calculate the job weights based on the percentage of inventory consumption for a particular job and profit can be earned from the jobs. Average weighted tardiness, number of tardy jobs, total flow time and idle times of machines are considered as objectives which should be minimised. In this paper, genetic algorithm (GA) is used as a heuristic technique with specially encoded chromosomes that denotes the complete schedule of the jobs. A local search technique, simulated annealing (SA) is also used to compare the results obtained in two different methods. Different problem sizes has been tested and the fitness function values and computation times of the problems for each method is compared. © 2013 Inderscience Enterprises Ltd.
Sequencing of jobs on one machine is a very common problem in scheduling. Several factors have to be taken into consideration to make the sequencing more realistic. In this paper, a fuzzy inference system is developed to tackle the uncertainty of variables in a sequencing problem. Arrival order, processing time, due date, slack time remaining, critical ratio, queue ratio and slack time remaining per operation, are considered as input variables and priority of jobs is considered as output variable. Multiple objectives are fulfilled as priority is obtained from the aggregated optimised result of individual rule developed in a rule editor. A job with higher priority is given more preferences in sequencing. MATLAB fuzzy logic toolbox is used to develop the model. A numerical example is presented to explain the approach. Copyright © 2013 Inderscience Enterprises Ltd. The parametric interpolators of modern CNC machines use Taylor's series approximation to generate successive parameter values for the calculation of x, y, z coordinates of tool positions. In order to achieve greater accuracy, higher order derivatives are required at every sampling period which complicates the calculation for contours represented by NURBS curve. In addition, this method calculates the chordal error in a given segment through estimation of the curvature neglecting a fraction of the error. In order to avoid calculating higher derivatives and make the calculations simpler, this paper proposes the classical fourth-order Runge-Kutta (RK) method for the determination of successive tool positions requiring the calculation of the first derivatives only. Furthermore, a method of estimating the chordal error on the average value of parameters at the end points of a given curve segment is proposed here that does not require the calculation of curvature at every segment. Finally, a variable feedrate interpolation scheme is designed combining the RK method of parameter calculation and the proposed method of chordal error calculation. Results show that reduced chordal error and feedrate fluctuations are achievable with the proposed interpolator compared to the conventional interpolator based on Taylor's approximation with higher order terms. Copyright © 2012 INDerscience Enterprises Ltd. This paper develops an artificial neural network (ANN) model to forecast the optimum level of raw materials inventory as a function of product demand, manufacturing lead-time, supplier reliability, material holding cost, and material cost. The model selects a feed-forward back-propagation ANN with twelve hidden neurons as the optimum network. We test the model with pharmaceutical company data. The results show that the model can be useful to forecast raw material inventory level in response to different parameters. We also compare the model with fuzzy inference system (FIS) and simple economic order quantity (EOQ). It can be seen that ANN model outperforms others. Overall, the model can be applied for forecasting of raw materials inventory for any manufacturing enterprise in a competitive business environment. In this paper, an artificial neural network (ANN) model is developed to determine the optimum level of finished goods inventory as a function of product demand, setup, holding, and material costs. The model selects a feed-forward back-propagation ANN with four inputs, ten hidden neurons and one output as the optimum network. The model is tested with a manufacturing industry data and the results indicate that the model can be used to forecast finished goods inventory level in response to the model parameters. Overall, the model can be applied for optimization of finished goods inventory for any manufacturing enterprise in a competitive business environment. © 2011Growing Science Ltd. All rights reserved. Paul, SK & Azeem, A 2010, 'Minimization of work-in-process inventory in hybrid flow shop scheduling using fuzzy logic', International Journal of Industrial Engineering : Theory Applications and Practice, vol. 17, no. 2, pp. 115-127. This paper addresses the Hybrid Flow Shop (HFS) scheduling problems to minimize the total work-in-process inventory. Job scheduling problems are one of the oldest and real world combinational optimization problems. It is multi objective and complex in nature. There exist some criteria that must be taken into consideration when evaluating the quality of the proposed schedule. Consideration of job and machine reliability is very important during assignment of jobs in each stage to get realistic hybrid flow shop schedule. In this paper, flow shop problem concerns the sequencing of a given number of jobs through a series of machines in the exact same order on all machines with the aim to satisfy a set of constraint as much as possible and optimize a set of objectives. Fuzzy sets and logic can be used to tackle uncertainties inherent in actual flow shop scheduling problems. Fuzzy due dates, cost over time and profit rate result the job priority and to determine the machine priority processing time of each machine is considered. MATLAB fuzzy tool box is used to calculate the priorities of jobs and machines at different stages. Finally, jobs are assigned into machines based on a grouping and sequencing algorithm that minimizes the total work-in-process inventory. © INTERNATIONAL JOURNAL OF INDUSTRIAL ENGINEERING. This paper addresses the selection of optimal shift numbers considering inventory information, customer requirements and machine reliability using fuzzy logic. Number of shift is one of the most important criteria for the production planners to minimize the production costs and is essential for appropriate production planning. The main task involves optimizing the shift periods considering constraints of raw material, due date, demand, finished goods inventory and machine breakdown. A model is developed for any kind of manufacturing company where shift periods affect company's profit and cost. Fuzzy control is used to optimize the number of shifts under the constraints of raw material, due date, demand, finished goods inventory and machine breakdown. MATLAB Fuzzy Logic Tool Box is used to develop the model. © Journal of Industrial Engineering and Management, 2010. In this paper, a recovery model is developed for managing sudden supply delays that affect retailers' Economic Order Quantity (EOQ) model. For this, a mathematical model is developed that considers demand uncertainty and safety stock, and generates a recovery plan for a finite future period immediately after a sudden supply delay. Solving recovery problems involve high commercial software costs, and their solutions are complex. Therefore, an efficient heuristic solution is developed that generates the recovery plan after a sudden supply delay. An experiment is conducted to test the proposed approach. To assess the quality and consistency of solutions, the performance of the proposed heuristic is compared with the performance of the Generalized Reduced Gradient (GRG) method, which is widely applied in constrained mathematical programming. Several numerical examples are presented and a sensitivity analysis is performed to demonstrate the effects of various parameters on the performance of the heuristic method. The results show that safety stock plays an important role in recovery from sudden supply delays, and there is a trade-off between backorder and lost sales costs in the recovery plan. © 2014 IEEE. In this paper, a supply disruption management model is introduced in a three-tier supply chain with multiple suppliers and retailers, where the system may face sudden disruption in its raw material supply. At first, we formulated a mathematical model for ideal conditions and then reformulated it to revise the supply, production and delivery plan after the occurrence of a disruption, for a future period, to recover from the disruption. Here, the objective is to minimize the total cost during the recovery time window while being subject to supply, capacity, demand, and delivery constraints. We have also proposed an efficient heuristic to solve the model and the results have been compared, with another established solution approach, for a good number of randomly generated test problems. The comparison showed the consistent performance of our developed heuristic. This paper also presents some numerical examples to explain the usefulness of the proposed approach. In this paper, a single stage batch production-inventory system is introduced. For it, the production can face either a sudden or multiple disruptions, for a certain period of time. The model also considers production process reliability because production environment are often imperfect. The problem is formulated as a non-linear constrained optimization problem that considers production capacity, demand, delivery and transportation constraints while attempting to maximize the total profit in the disruption recovery window. The model is also applied to solve production systems with single or multiple disruptions. The production quantity in each cycle in the recovery window is revised after every disruption, for as long as disruptions take place in the system, while considering the effect of all dependent disruptions. The model is solved by using both a pattern search and a genetic algorithm based solution approach. The results are also compared. Both a numerical example and a sensitivity analysis are presented to explain the model. Paul, SK & Azeem, A 2009, 'Defects Identification and Analysis of a Pharmaceutical Product Using Pareto and Cause-Effect Analysis', 8th International Conference on Mechanical Engineering, Dhaka, Bangladesh, pp. 1-6. Jannat, S, Khaled, AA & Paul, SK 2010, 'Optimal Solution for Multi-Objective Facility Layout Problem Using Genetic Algorithm', International Conference on Industrial Engineering and Operations Management, Dhaka, Bangladesh, pp. 751-756.